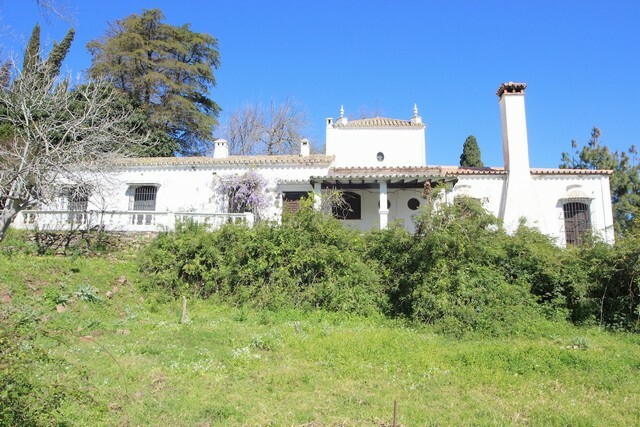 Wonderful Old Cortijo seeks caring new owner to restore it to its former majestic glory in an elevated position backing on to the Parque Alcornocales and overlooking the Bay of Algeciras and Gibraltar with amazing sea views. Thereafter a rough narrow track winds even further upwards through the cork oak forest terminating finally at a solid electric gate from which you can just make out this former stately home in the distance mainly hidden by the trees. After 500m the house appears in all its faded splendour. There is parking for several cars under the shade of an old oak tree. The access to the main house is through the internal courtyard and through to a hallway/dining area looking down on to the spacious main living room with fireplace with a kitchen at the back opening out on to a sunny south facing terrace. A passage way leads on to 3 interconnecting double bedrooms and the enormous master bedroom suite – each with fireplace. Upstairs is a large salon/library. Across the courtyard are 2 outbuidlings which each comprise a two bedroom apartment and then beyond is a small shrine. Steps go up to the kitchen garden and through to a secluded swimming pool with the most amazing sea views; with changing rooms and sauna. 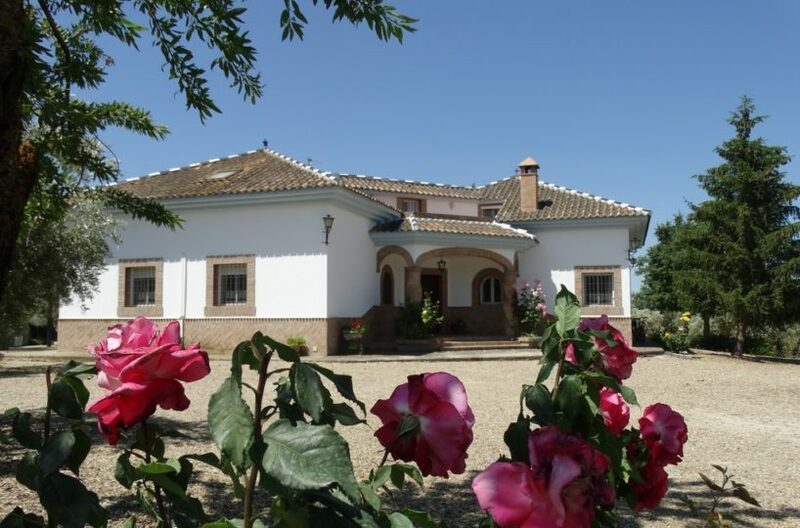 In all the property comprises 450 sq m of constructed living space making it suitable for a Boutique Hotel, Riding Centre or Yoga Retreat. With 55,000 sqm of mainly flat land around it almost anything is possible.